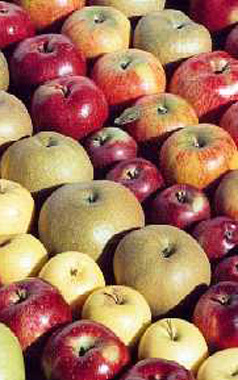 Keepers Nursery is a leading specialist fruit tree nursery in the UK. With over 600 varieties, we probably offer the largest selection of fruit trees for sale in the world. This includes hundreds of varieties of apple, pear, plum and cherry trees, as well as more unusual fruit trees such as quince, medlar and mulberry. In addition we offer soft fruit plants such as raspberry canes, currant and gooseberry bushes. We also supply nut trees such as walnut and cobnut. Nearly all of our trees are produced by ourselves at our nursery in Kent. We supply them mostly bare root in late autumn and winter. Our trees are guaranteed for the first year. You can buy online from us for mail order supply or order and collect from the nursery. Our website also offers a vast range of online information on hundreds of varieties of fruit, useful aids for selecting suitable trees, as well as valuable advice on growing fruit trees. We are always on hand for friendly professional advice by email or telephone. New to our website ? Follow day-to-day life at Keepers Nursery on Facebook and Twitter.